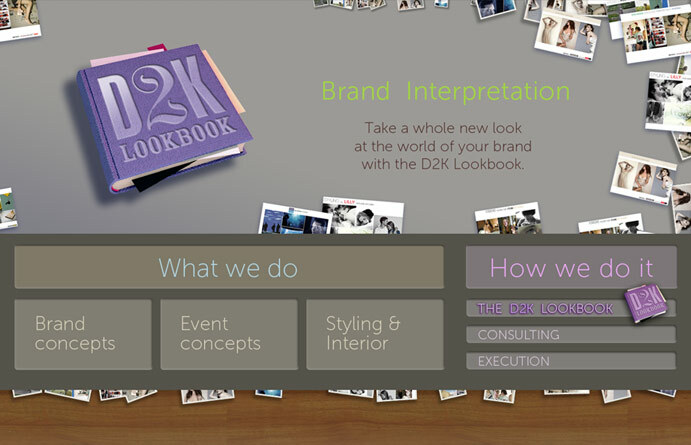 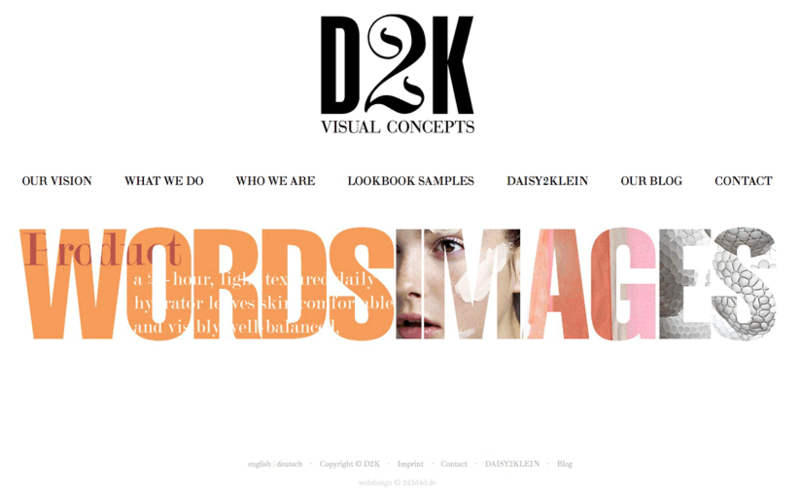 D2K Visual Concepts offer concepts for the visual design of brands, products, events and persons. 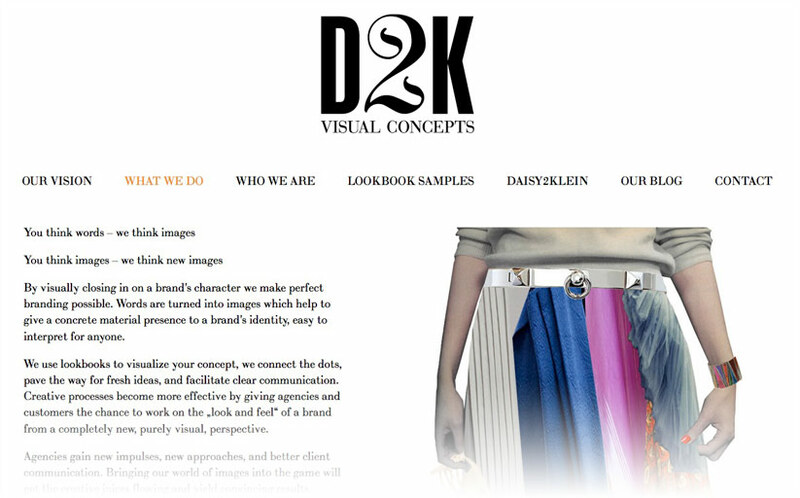 Graphics and images were to immediately convey that this was a designers' portal (and not a marketing company or something else entirely). 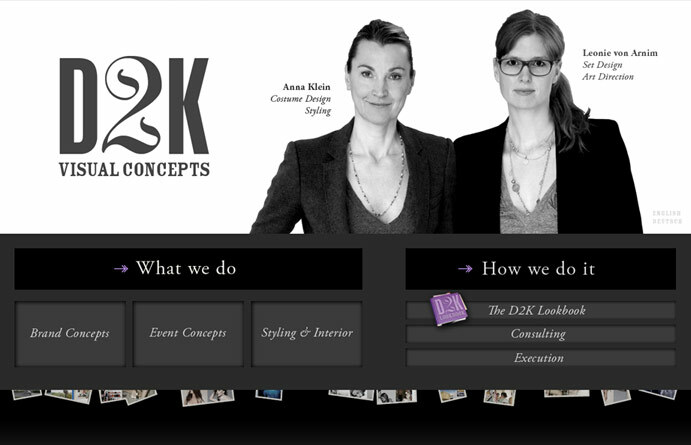 And the main menu was to provide answers to the users' two fundamental questions: „What We Do“ and „How We Do It“. 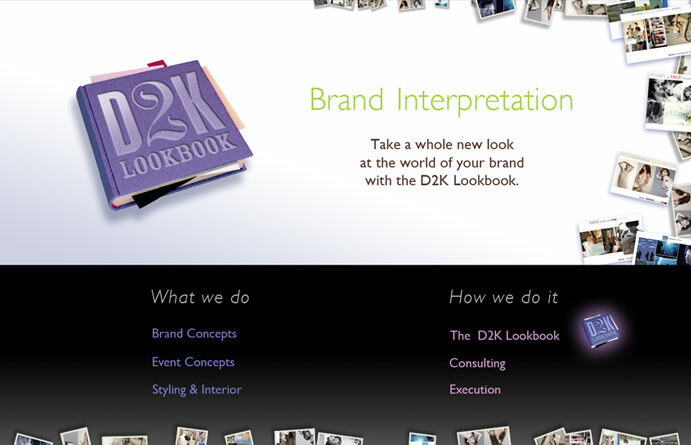 Typography highlights and an individual folder icon place particular emphasis on D2K's main product: the Lookbook. 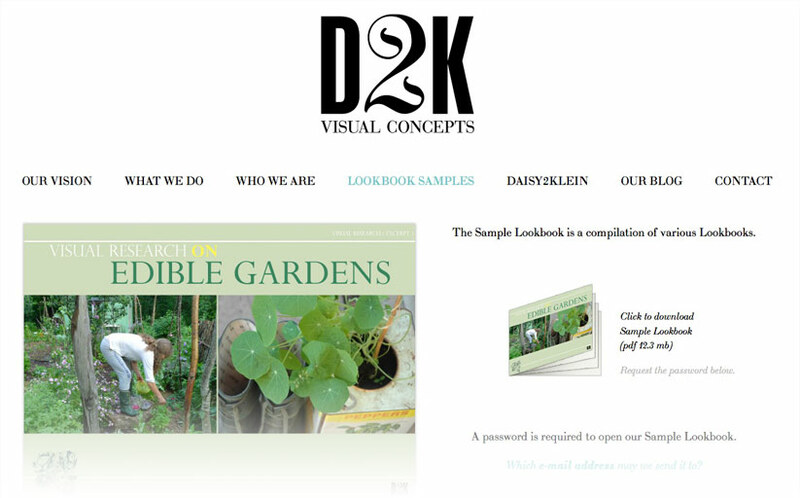 Ultimately, a minimal layout with large white areas emerged as the favorite design (see above).